The Centeno-Schultz Clinic physicians provided an CME lecture series today at St. Mathew’s University: School of Medicine in Grand Cayman. Dr. Ronald Hanson spoke on the use of Regenexx C and Regenexx SD in rotator cuff injuries. He highlighted the importance of proper placement utilizing MSK ultrasound. Dr. John Schultz spoke on the treatment of lumbar degenerative disc disease. He discussed the use of stem cells as an alternative to back surgery. Dr. Christopher Centeno discussed the use of culture expanded stem cells in patients with knee and hip osteoarthritis. He highlighted both it’s safety and efficacy. Centeno-Schultz Clinic opened a state of the art stem cell culture laboratory in Grand Cayman. Regenexx C, where a patient’s own stem cells are grown to a higher number is now available in Grand Cayman. Regenexx Cayman has already treated it’s first NFL player. 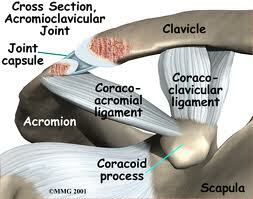 The acromioclavicular (AC) joint is a small joint on the top portion of the shoulder. The joint created by the end of the clavicle (collar bone) and the winged protrusion of the shoulder blade (acromion). The AC joint allows the ability to raise the arm above the head. At the Centeno-Schultz Clinic AC joint injuries are graded using the Rockwood scale. – sprain of joint with out a complete tear of either ligament. The ligament is intact but stretched. – > 5 mm elevation of AC joint w/o weights is consistent w/ severe type II or a type III injury. MSK ultrasound is utilized in the treatment of AC joint injuries given that both the joint and the supporting ligaments require treatment. The perils of blind injections have been discussed previously. Prolotherapy, Regenexx SCP and Regenexx SD has been successful in the treatment of AC joint injuries at the Centeno-Schultz Clinic. Intracranial hypotension is caused by spinal cerebrospinalfluid (CSF) leaks and is known for causing orthostatic headaches. It is most commonly seen in patients who have undergone lumbar punctures (LP’s) or inadverent dural puncture during epidural placment. Spontaneous spinal cerebrospinal fluid leaks is also an important cause of new headaches in young and middle-aged individuals. The incidence has been estimated at 5 per 100 000 per year,with a peak around age 40 years. Women are affected more commonly than men. Stem cell therapy in the form of Regenexx SCP has been utilized in a patient with chronic dural leak. Clincial improvement to date has been encouraging with an increase in function and decrease in symptoms. Myelography is the study of choice to identify the spinal CSF leak. The Centeno-Schultz Clinic provides state of the art non-surgical treatments for knee pain and injuries. 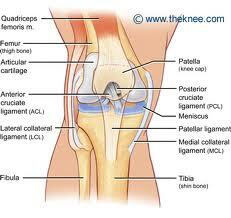 The medial collateral ligament(MCL) is one of the four major ligaments of the knee. A ligament consists of tough fibrous material and connects one bone to another. Ligaments can be thought of as the duct tape that keeps a given joint intact. Ortho 2.o reviews the importance of ligamental strength and integrity. The MCL also functions to resists forces that push the knee inwardly (medially). It originates below the adductor tubercle on the medial condyle of the femur and inserts upon the inner surface of the tibia. Injury to the MCL is painful and commonly occurs in football and skiing where excessive valgus forces are placed on a slightly bent knee. This is an incomplete tear of the MCL. The tendon is still in continuity and the symptoms are usually minimal. Grade II injuries are considered incomplete tears of the MCL. Instability may be present along with pain and swelling. A grade III injury is a complete tear of the MCL. Patients have significant pain and swelling and often have difficulty bending the knee. Instability is common. Treatment of a partial tears is usually conservative. Non-surgical therapies include prolotherapy, PRP and stem cells. Reeves has demonstrated the successful use of prolotherapy in knee osteoarthritis and ligamental instability. Dr. Centeno’s recent book chapter outlines the use of stem cells in orthopedic injuries. Additiional information on the treatment of othropedic injuries with stem cells is available online. 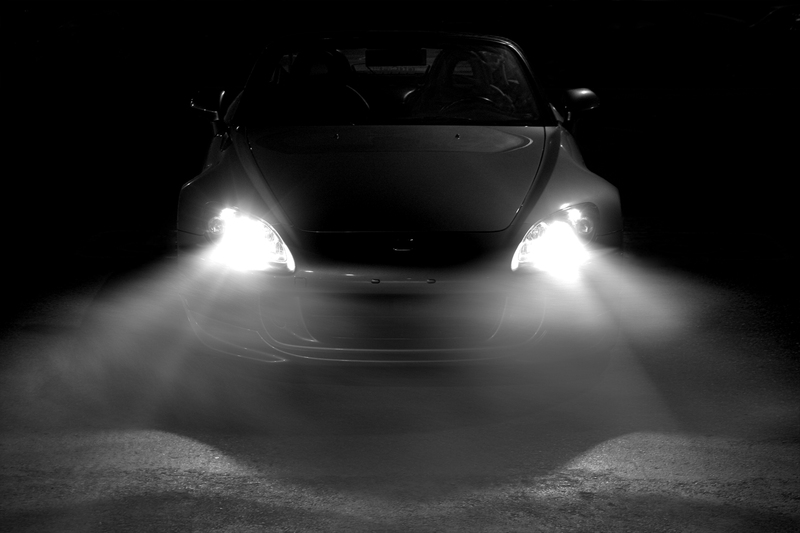 At night I use my headlights to see the road. At the Centeno-Schultz Clinic when injecting knees we use MSK ultrasound or x-ray or both. Because it ensures that the medication, whether it be prolotherapy, PRP or autologous adult stem cells, gets to the intended target i.e knee joint, ligament or torn meniscus. Is there a chance of failure if guidance is not used? Yes. Jackson demonstrated that accurate needle placement into the knee joint space by an orthopedic surgeon varied from 71-93% depending upon the approach utilized. That means 7-29% of patients had injections into the anterior fat pad or subsynovial tissues where the likelihood of success is limited. Does MSK ultrasound guidance make a difference? 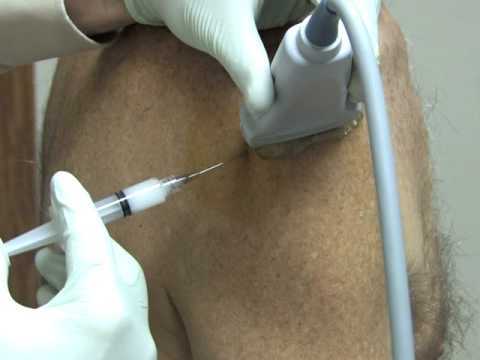 In a recent study, Sibbitt demonstrated that the use of ultrasound guidance to inject arthritic knees resulted in a 48% reduction in pain from the procedure, 42% more reduction in knee pain, twice as many patients responded and the treatments lasted longer. Bottom Line: Demand guidance be used on your next knee injection. X-rays are able to directly visualize osseous features of osteoarthritis, including osteophytes (bone spurs), sclerosis, and subchondral cysts. They are used in clinical practice to confirm the diagnosis of osteoarthritis. Osteoarthritis (OA) severity is commonly graded from x-rays using in the Kellgren and Lawrence scale as previously discussed. MRIs of the knee provide much more detailed information including the quality of cartilage, meniscus integrity, presence or absence of meniscus tears, fluid collections and integrity of ligaments and tendons. Do Kallegren-Lawrence scales correlate with findings on MRI? Yes as evidenced by Agnesi’s article which demonstrated an inverse relationship between KL score and joint space width as measured on MRI. 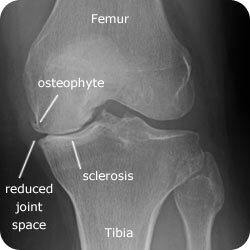 That is to say that as the osteoarthritis increases as reflected in a higher KL score the more advanced the degeneration in the joint. Stem cell therapy is an non- surgical alternative for many knee conditions. Knee debridement suregery has been shown to be be no better than a placebo surgery. The larger the portion of the mensicus that is removed the greater the stress that is placed on the joint. The clinical success of patients who have undergone Regenexx-C, -AD and Regenexx SCP have been previously described. The use of expanded stem cells, Regenexx-C, has been demonstrated to be safe and not associated with the development of tumors. The Centeno-Schultz Clinic just published another study which tracked 339 patients for up to 4 years and involved 200 research MRI’s on 50 patients. The Kellgren-Lawrence grading system is radiological classification of knee osteoarthritis. It is based on x- rays and consists of normal, Grade I, Grade II, Grade II and Grade IV. Joint space narrowing – bone is visible on x-ray but the articular cartilage that covers it is not. A normal joint therefore appears to have a space between the bones. Any decrease in space implies a reduction in cartilage cover. Osteophytes – small bony projections that from around joint margins.They are responsible for limiting range of motion and can cause pain. Grade IV: Multiple large osteophytes, severe joint space narrowing, marked sclerosis and definite bony end deformity. 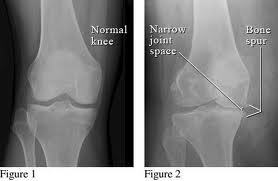 Knee x-rays and Kellgren-Lawrence Classification is used to determine candidacy for knee replacement. Stem cell therapy is an alternative to total knee replacement. Research shows that more than 1 in 10 patients after knee replacement had chronic pain in the knee cap area. A more recent study found that 44% of patients continued to experience pain 3-4 years post knee replacement. All too often the source of the pain is the lower back and not the knee. Lumbar Fusions: Cancer Risk ? Bone morphogenetic proteins (BMP) are a group of growth factors that induce bone formation. Surgeons use BMP in spinal fusions reducing the need to use a patient’s own bone and the complications and pain associated with bone harvesting. 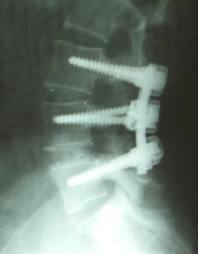 Rate of lumbar fusion has increased 1500% from 2002 to 2007. The use of BMP in spine fusions increased from 0.69% in 2002 to 24.89% in 2006. The use of BMP is associated with higher rate of complications with the primary increase seen in wound related complications. A Medpage article on FDA approved BMP used to promote fusion noted an increased risk of cancer by 4-5X. Patients who received BMP were four to five times more likely to develop at least one new malignancy. Stem cell therapy is an alternative to spine surgery. There are multiple benefits of treating bulging or herniated discs with Regenexx PL. Failed back syndrome is one of many known complications associated with spinal surgery. Clinical success with Regenexx PL for lumbar spine pain have been previously highlighted.